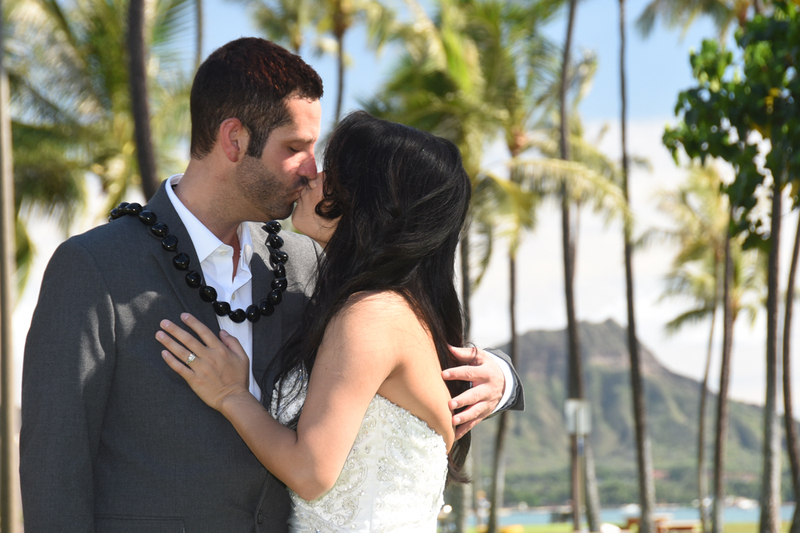 Weddings are held at your choice of Kahala Beach or Magic Island at 1:00pm. Wedding package includes Limousine transportation to ceremony location, flower bouquet for the Bride, Wedding Ceremony (and Marriage License filing), and professional wedding photos. There is a break time after your Wedding before your Sunset Dinner Cruise 4:30pm pick up time. *If you prefer a sunset Wedding, you may use your Cruise tickets on the following day. The difference between Star, 3-Star, and 5-Star is in which dining room you will dine aboard the ship (lower floor, middle floor, or top floor exclusive section). Menus are different as well, though fine dining on every floor. Limousine service for 5-Star Wedding Package. Ko Olina or North Shore Oahu. Please add $100.00 to this Wedding Package for Weekends and Holidays. Tax of 4.712% is added to our wedding packages and services. *Add $15 for Tour Bus shuttle, roundtrip transportation from Waikiki to the Dinner Cruise. *Add roundtrip Limousine Transportation for $75/person. Includes private window table, photo in Star of Honolulu frame (one photo per two persons). *Window table available for groups up to 8 persons. Tour Bus Shuttles pick up from Hilton Hawaiian Village, Sheraton Waikiki, Hyatt Regency, or Aston Waikiki Beach Hotel. The Star of Honolulu also has an exclusive dining room for private parties. STAR OF HONOLULU charges extra for special days such as VALENTINE'S DAY and 4th of JULY. These extra charges (or any other rate increases by the Cruise Ship) will be passed on to the customer. *Dinner Cruise tickets must be paid in full before we can reserve your dinner reservation. 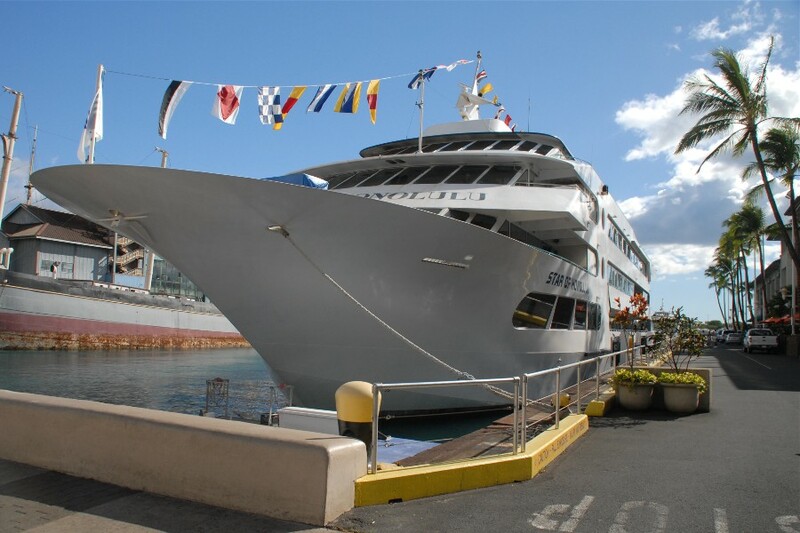 **Dinner reservations are subject to seating availability on the STAR OF HONOLULU.